This topic contains 8 replies, has 2 voices, and was last updated by Billy 4 years ago. Years ago I lived in saint Marys Terrace which lay at the back of the then YMCA, Number 3, can anyone relate to this?. I now live in Wales, but am homesick for Wolverhampton. Yes still a wulfrunian. My question is “Why is St Marys Terrace never mentioned” these days Perhaps Billy could enlighten me on this. 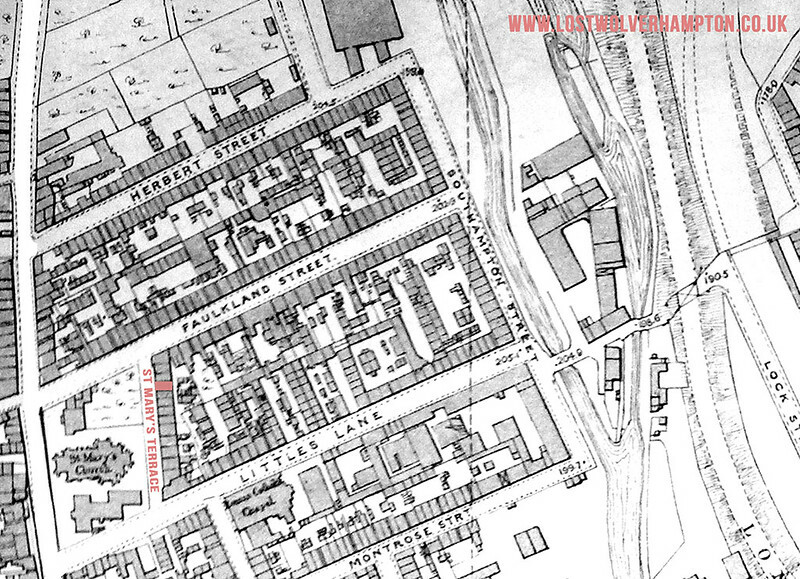 This is a small peice of a map from 1871, of St Mary’s Ward, showing the terrace behind St Marys Church and Schools You will notice the area between Herbert Street and Little Lane is densley populated then this will all be cleared in the late 1920’s. I have printed The Terrace in Colour June along with N0.3 your house. As I recall in the mid 1950’s the Tanadynka’s lived at No.2 Rose Tanadynka’s mother, Mrs Hayward kept the Lodging house on the corner of Herbert Street at that time. The Eagles who I believe may have been related to them lived a couple of doors away, they left to live in St Annes Road around 1951. By the way June did you ever tell me your maiden name Because it would be a great coincidence as George Maiden lived at N0. 3 in 1956. Please keep in touch June. Hello Billy. We moved to Saint Marys Terrace Number three in 1941. My mother married Joe Wright, who had four children by a previous marriage.It was a hovel,the water, and toilet was outside,a two up and two down,and there was even less room when our mum, and my brother, who is seven years older than me moved in. Our surname was Lambeth.What bothers me is this….this man you mentioned,Maiden, was the place made more habitable before he moved in in the fifties,and did he know it was haunted?. There were problems in the attic.Even at such an early age I sensed it, and there were witnesses.This is all good stuff, and you are a star. 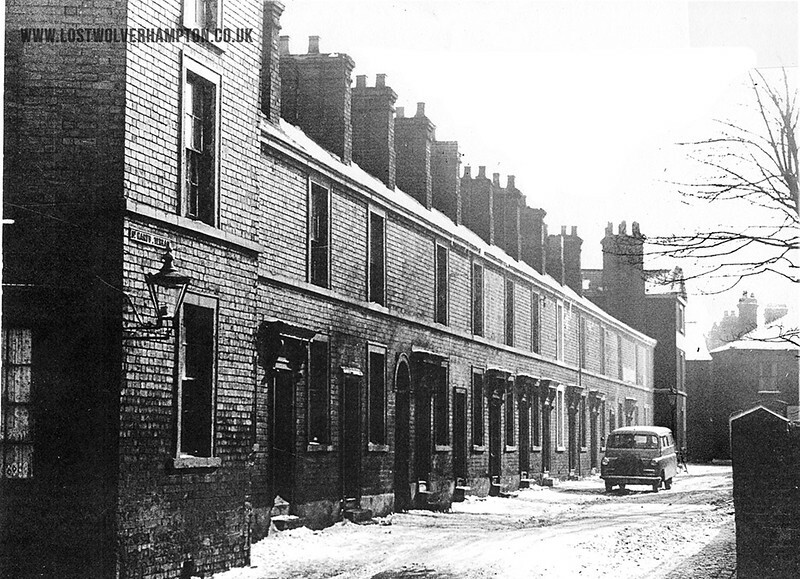 Hello June, This is a mid 1950’s winter view of St Mary’s terrace. Your house No.3 was probably the one on the left of the entry. If I remember rightly the Eagles were on the right of the entry. I called on John and Brian Eagle often as I might have mentioned before we all went to St Patricks Church and St Josephs school. I can recall the row of toilets across the back yard a few yards from the houses. When the terrace was being demolited in the late 1950’s the late Charles Harrington a signwriter from North Street was passing as the took down the cast iron sign, he aquired it and for 50 years it was featured on the back garden wall of his bungalow at Whitwick.I hoped to have it when he died but that hasn’t come off. Hello Michael,I wondered when we would obviously come together.Didn’t the name Billy Howe ring a bell. I started at St Josephs with John I remember him suffering with the mastoid that kept him from School for quite awhile. Your father gave me an old pair of football boots the first I ever had. I recall the family moving to St Annes Road and went there with my dear late friend Jimmy Hayward to meet upp with Brian. Please keep in touch You certainly are a blast from the past. Yes, Jimmy Hayward was our cousin as his Mom was my dads sister. Just me and Colin left and neither live in Wolves. I spent my life in the Army and Colin has now moved elsewhere. Question, how do we email? I received one from you but when I replied it was rejected. Talking about St Mary’s Terrace in the years just afer the war, reminds me of “Life on the Ocean Wave. 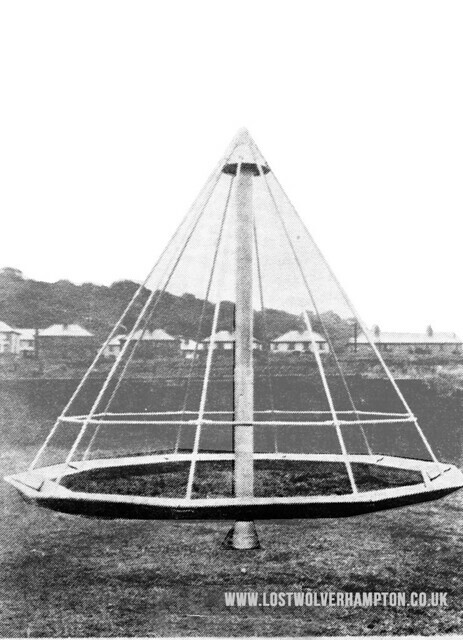 “The witches Hat” seems the most popular we had two of these in close proximity to my childhood home in Nursery Street, one was on the side of Faulkland Patch at the rear of St Mary’s Terrace, of Stafford Street. The other further down Stafford Street in Red Hill Street, where the school clinic was later built in 1960’s. Well for the record – The correct name was ‘Burton’s double grip Ocean Wave’, and was made by Burton and Delingpole Limited, of Old Hill.